Spending hours complacently observing artwork after artwork, ancient relic after ancient relic, thinking about anything but the exhibits, while making your best effort to emanate a sense of cultural sophistication to your surroundings, is something that most people can relate to when visiting museums from time to time. But this model is undergoing a radical change. More and more museums are rethinking the museum experience and the way guests learn. Broadly speaking there is a shift away from the objects toward providing an immersive and interactive experience which is perceived by the guests as authentic. 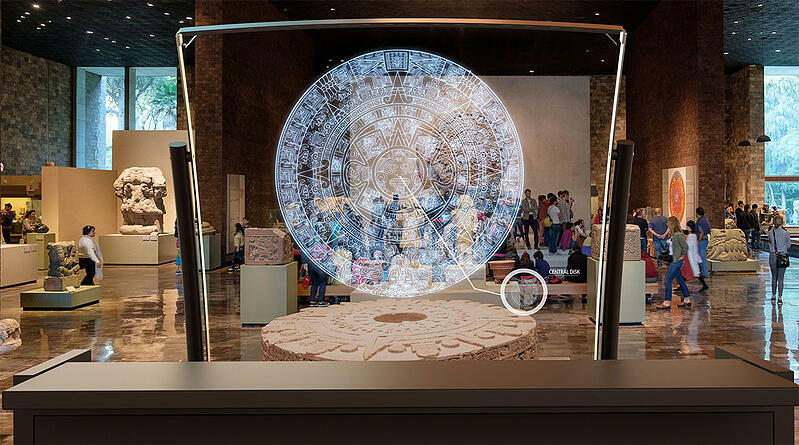 In this article, we will dive into this change and give you some insight into how you can implement immersive experiences that will make your guest return again and again. Museums are in many respects learning institutions, who’s main goal is to educate their guests. But how do people learn? In the not so distant past the learning process was thought of as an “open container” into which, knowledge could be filled. It won’t come as any surprise however, that we don’t really learn much this way. Just think back on the last time you went shopping and forgot the shopping list. How many things did you actually remember? According to a research paper by Signe Lykke Littrup, Ph.D. fellow at the institute of Performance Design at Roskilde Universitet and curator at Frilandsmuseet, “there is great contention about the best way to learn, but the “container” metaphor is stone dead among experts. Instead participation is the keyword. By actively participating, guests create their own learning experience by interpreting the surrounding objects in conjunction with other guests. To participate in the learning experience, guests need to feel drawn to the environment and this is where immersion comes into the picture. Surely you know the feeling of being completely captivated by something. Maybe it’s a thrilling novel, a gnarly track in the forest on your mountain bike, or scuba diving among colorful fish in the Mediterranean. Regardless of your interest the experience is wholesome and meaningful when you are completely surrounded by it or enveloped into it. Now, written and oral communications have been widespread in museums across the world for a very long time. And we can agree that a good book or a great orator can be an immersive experience. But let’s be realistic. Most museum plaques are not thrilling prose and the vast majority of tour guides are a far cry from Martin Luther King Jr. Instead they merely convey information, and the new generation of museum visitors are indeed expecting something more than that. The written or oral communication is not the main attraction, but a supplement to the museum’s objects. In addition, the experience often becomes fragmented and interrupted by other guests and by our own urge to move on or get home and thus the experience is not immersive. Museums are more recently finding ways to distance themselves from this approach. 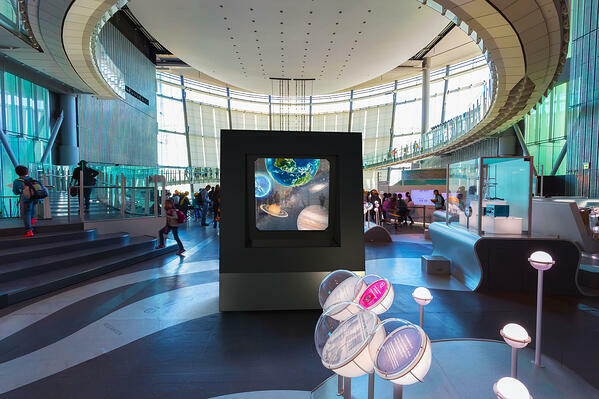 More and more museums are using digital tools to convey information while providing an immersive experience where the surroundings feel real, intimate and are happening in this moment. While the intent to create an immersive experience may be well intended, no one will be convinced unless they perceive the experience as authentic. Authenticity and uniqueness has long been a goal for museums. Mainly by focusing on providing original objects like spearheads, paintings, sketches and sculptures. But, imagine that you are visiting a Viking museum where they’re displaying a floorboard from an old ship. Beside the exhibit there’s a plaque explaining the origins of the board. Sounds pretty dull, right? You’ll probably be left standing with a ton of unanswered questions, or in best case consort to Google on your smartphone- that is if you haven’t already been distracted as a result of our shortened attention span. We can all agree that the object itself is pretty authentic, but without an experience that shows the object in action, you will quickly forget about it. That is why museums are shifting away from merely presenting original objects and toward a focus on providing a meaningful experience that leave a lasting impression on the guests. It is therefore more important that the guest perceive their experience as real than whether the object is original. So, you have provided your guests with that everlasting experience that has sparked interest in your museum, now what? If the guests are excited to visit your museum or they have just visited your museum they might want research further on the themes. This is an ample opportunity to keep the dialogue going, stay in contact with your guests and option them to share their experience on social media with others. Whether you provide podcasts, video, or research papers, giving guests the opportunity to delve into your universe before and after the visit is the best way to stay in touch and transform your guests to evangelists for your museum.